Amazon opened its first Bay Area physical bookstore at San Jose's Santana Row on Thursday. Amazon opened its first Bay Area physical bookstore at San Jose’s Santana Row on Thursday. The brick-and-mortar outlet will feature a collection of 3,500 unique titles rated 4.8 stars or higher. “All of the books are displayed cover out, and there are review cards under every single book,” said Jennifer Cast, vice president of Amazon Books. Attention all book lovers! Amazon is opening its first Bay Area physical bookstore at San Jose’s Santana Row on Thursday. The online store is famous for killing the traditional bookstore but the company has recently been experimenting with physical stores in cities like Seattle and San Diego despite the larger online shopping presence; this will be the second in California. 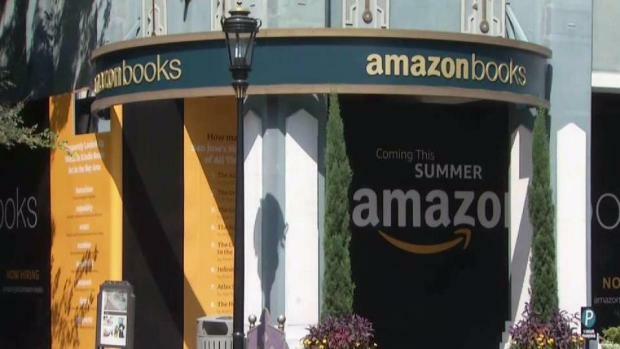 You can check out the new Amazon bookstore at Santana Row Monday to Friday from 10 a.m. to 9 p.m.